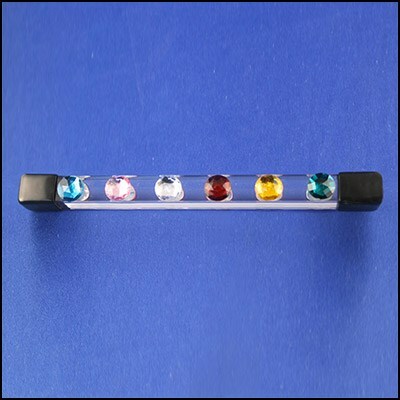 This Jumbo Hot Rod is made of crystal clear acrylic 9" long by 3/4" square, with 18mm Plexiglass gems. Black plastic tips protect the ends of the rod from scratching, simulating a gem-studded magic wand. Community questions about Jumbo Hot Rod 9"
Review Jumbo Hot Rod 9"